Susie led an excellent ride yesterday that covered Lower Powerline Road and Buckhorn Lakes. Lower Powerline Road is a maintenance road that follows a high-tension line at lower elevations (about 6000 feet above sea level) through a desert biome. 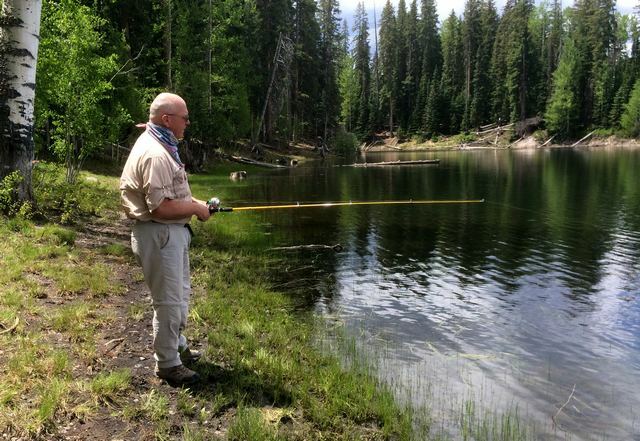 The two Buckhorn Lakes are at about 9500 feet above sea level and are in an Alpine biome, and the area is owned by the City of Montrose, who have turned the area into a park. 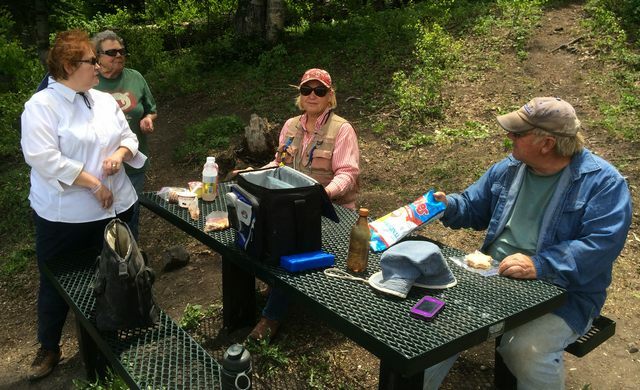 This ride was under the auspices of the Uncompahgre Valley Trail Riders Association (UVTRA). I’ve described Lower Powerline Road in previous posts (for example, here, here, and here) and Buckhorn Lakes as well (here, here, here). Yesterday’s ride started at the intersection of Lower Powerline Road and Kinikin Road, to Buckhorn Road, and thence to the lakes. The wildflowers at altitude were simply spectacular. Here’s a brief video encapsulating the ride. (To keep the video snappy, I picked just five seconds from each clip I took.) A few photos follow. Riders gathered at Buckhorn Lakes picnic bench. Susie, the ride leader, is center. Riders gathered at a viewpoint. Gary, one of the club members, fishing in Buckhorn Lake #2. 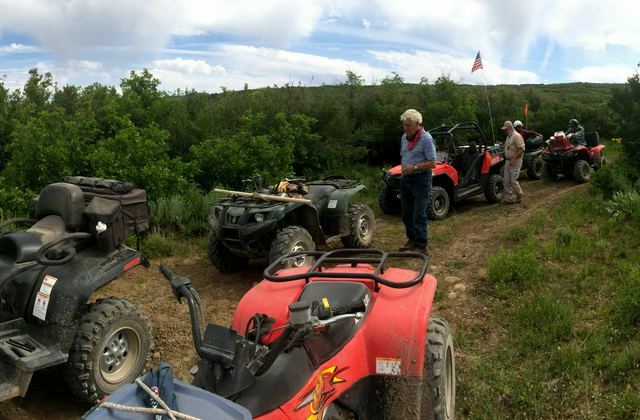 This entry was posted in All-Terrain Vehicles (ATV) and Side-by-Side, Montrose County, Video and tagged Buckhorn Lakes. Bookmark the permalink. Russ, yes, sadly, I have. I suppose I should write a post with more details. I rode it after the accident a few times, but had a number of post-accident issues such as stamina and balance. So, I sold the bike and got the Polaris RZR side-by-side. I freely admit I miss the bike, but I had five good seasons and got to do lots of things. And the RZR has its advantages, such as being able to take my wife along.